I was an insurance broker for 15 years and sold that business in 2015. During that time I learned the intricacies of website design to grow that business online and reduce the amount of travel required to achieve success. I started Catch a Wave Design in 2008, where I design and host the sites for a number of companies in the Virginia Beach area. 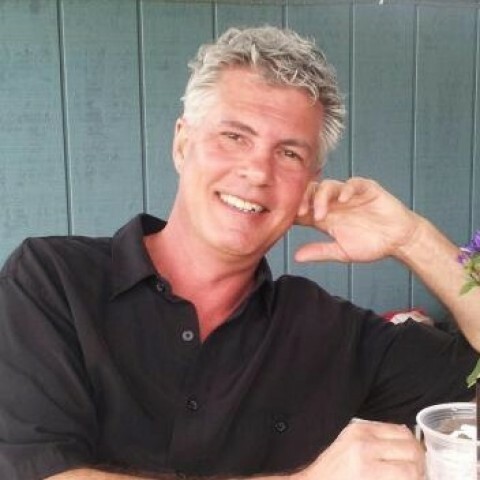 I moved to Surfside Beach, SC in 2015 and am working to expand my business into affiliate marketing. Just had to follow you with a handle like that! I grew up in San Diego, CA, surfing through HS and college, and my name is Bob. Look forward to learning more from you as I am just beginning my journey here at WA and the whole affiliate program business model. Just started my first webpage and am working on building it now. Good to know you Bob! Insurance...tough business now a days. Thanks for the FOLLOW! I will return that favor! I have been hanging...and I mean really hanging here in the Philippines for the last 9 years...and finally I found something to do! WA !!!!!!!!!!!!! Hey Bob, hope you had a good weekend. I think Stunning Bell has opened herself up to some unpleasant things here and if she had any sense would delete the post. Saying that I have only just found out who was involved and the same person I had a run in with. Had to report it to Kyle who told me it happens on a regular basis with him. Obviously StunningBell can't take criticism and she actually mentions me in dispatches, in the post where someone "me" told her "shame on you" and that was based on a post of hers where she was looking for negative feedback and she mentioned something about wa been a scam, but she hadn't worded it correctly. It was supposed to have been taken lightly, "tongue in cheek", but she obviously took it to heart. Yes, Bipolar Bell is a bit of an oddity, too thin-skinned. She tried to correct me in another erroneous post of hers, and I didn't have any of it. I have been designing sites for 10+ years and still learn every day, but it makes me chuckle and scratch my head when a person (not just her) still designing their 1st site speaks from a position of authority. For me, I don't pay much heed to the numerical ranking here, which isn't to say that it has some merits. I have been hovering in the 70s for the past week or so. But that value doesn't take into consideration that I rebuilt 1 person's site last week, and redesigning another's today, etc. So I just try to learn, to assist others, and to excel at what I do. There's where the value is. Scott, I am confused as to why you would add ADMIN instead of admin...rather than Scott or something personalized. While in your WP Dashboard, when you create a new user it will create a new PW, which you must save somewhere. I use Excel for all of mine. I login to all of my sites via sitename.com/wp-admin However, another option is to login through SiteRubix here on this site. If it doesn't work I would suggest contacting Site Support to reset the password. Thank you Bob , I do believe this password thing is the problem. I don't recall saving a password, I probably thought the site mgr. got that info. So, I will get a new password from site support? Yes, if you login thru SiteRubix you can reset the password directly from there. For example, I used Rise Pro theme for my Music Mayhem site, and I named the child theme MayhemPro (again, in Step 7 of the child theme creation). You can see in this screenshot (from WP Dashboard > Appearance > Themes) that now MayhemPro is the active theme upon which all edits will be made. If I had not chosen a custom name for the child theme in Step 7, the plugin would have named is Rise Pro_Child. Once you have activated this child theme, you can deactivate the plugin so that it doesn't affect page load speeds. In that screenshot I provided above, you will see that MayhemPro is my Active theme. All updates and edits are applied directly to it and I do not touch the parent theme (Rise Pro) again. With the original Rise Pro, I used the child theme plugin to create this child theme (MayhemPro). My apologies if I'm not answering your question. Are you able to do a screenshot of your themes so I may have a better look? That may help to answer you. Hey Surfside Bob, may I do a caricature of you? It would be a honor. I noticed you have a "Catch a Wave Design." I have a surfer dude idea just for you! You will like it...not to worry Bob no hidden catch! I enjoy making people laugh. Give me the green and I'll send it to you in ohhh .....well I do it in under 3 minutes y'know. 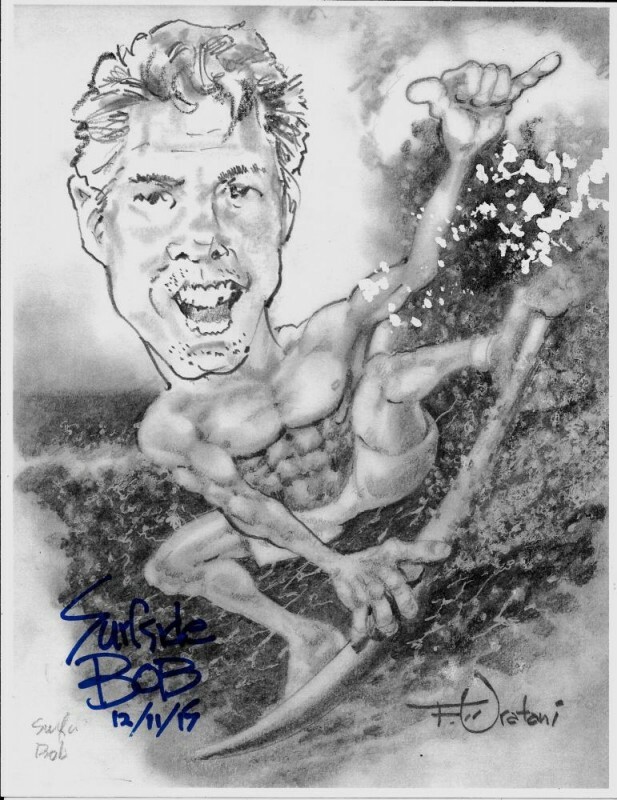 Here it is Surfer-Dude Bob! Hi Bob! Thanks for following me back. I had followed you based on some of your comments. I hadnt read your bio until now. I did'nt realize you had moved from Virginia Beach. I have a lot of memories of Virginia Beach. I spent many Mother's Day weekends there for my youngest son's baseball tournaments. The local league stopped going a few years back because thethey lost their funding. We used to eat our Mother's Day lunches at CaCaptain Chuck-A-Mucks in rescue, VA, just outside VA Beach, including the one that fell on my oldest son's 18th birthday. We also went to many gymnastics competions in VA Beach. My oldest daughter was a competitive gymnast from ages 8 to 18. Is Surfside anywhere near Myrtle Beach? Just curious. We've bbeen there several times as well. I have a sister who lives in LiLittle River. Hi Anita, yes Surfside is just below Myrtle. My parents had lived here since 2000, and I moved here in 2015 to care for Pop after Momma died. More about that and my transition here in a post I published the other day called You Were Built for Better. I'll check it out! Thanks! Happy Thanksgiving! 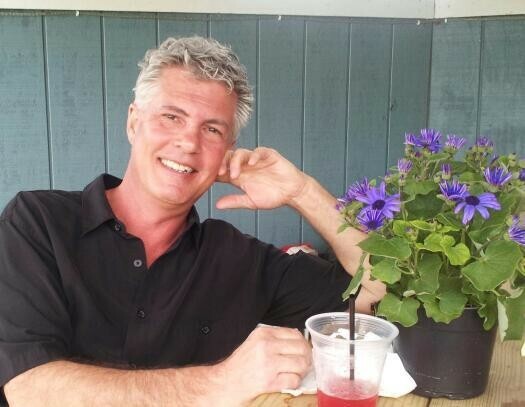 Dear Bob, welcome to our WA community, you're on the right place to start an online business! Thanks for sharing and for accepting my invite, much appreciated. Seems you're doing very well, so keep on track and let's stay in touch. Thanks Desmond, have a great day! Congratulate you on having taken such a smooth transition into the digital world. Apparently, you have made yourself be so solid in knowing what and how you should do to succeed in e-marketing; you are fully ready. I wish I could be some 25% of what you can. I was totally blind to the digital world until 9/25/2017 when I joined WA premium. Since, I have worked hard to learn as fast and as much as I can, but still far from the goal of succeeding in E-marketing. Here, I woould like to thank you for networking with me, I will proactively do what we should do together to succeed in E-marketing adventure. Hence, be critical on what you perceive from reading my profile and contents inside by 42-day baby, www.ebettercare.com; that is really what I need, not just sweet words for political correctness; I appreciate that. In reality, I am still digitally blind although I have gained a significant knowledge through truly unparalleled training and support within WA community – the right place for us to worm up and to move into the real world of E-marketing. Welcome to meet in WA and thank you for mutual supporting. Thank you James! I like your site overall. It has a nice flow and feel to it, and the content is relevant and interesting. I also like the color scheme, as it's easy on the eyes and also draws the viewer across the page. There are only a couple of things I would change. By default, WP installations assign "admin" as the author and administrator. I always go to the left side of the dashboard, select user, and then add a new user. For the new site http://MusicMayhem.online I created a user of Songbird. That is the default author/admin I use when creating and editing content. With that in mind, I would create a new user, whether your name or something related to your business, and set it with administrator privileges. A new password will also be assigned for that user. But always login with that user name, and also apply some sort of picture, even a Gravatar, so that all of your posts now have that user name and image instead of admin with a blank head. I would then go back to those posts and change the author. You can do it as quick edit while viewing all posts rather than opening each post individually.This just personalizes things. The only other thing I would change is the way the post menu appears in the footer area. If you were to move that content from footer to sidebar position, it would tidy up the bottom of the site quite well. But I like your site and encourage to keep rocking my friend. Hi! Bob, I know it that you have so much stuff that WA members need. Appreciate your pointing out what I should do in changing the name of the author from admin to my name. In fact, I have been tring to correct such but failed for some reasons unclear to me. I will certainly try again. Hopefully, my site can reach the stage of monetization soon. Please keep on watching me and see how I may excel since you are so resourceful. Thanks again. Was largely absent from the internet machine today James. Just following up on some comments and follow ups and will start fresh on Monday. Send me a private message if you need help with new users and I'll do some screenshots to walk you through it. Peace. Hi my friend thanks a lot for following me in this beautiful place and community where people help each other and it feels like having a family due to all the support you get from them. I am so happy you decided to join WA this program his for everybody and it offers quality learning and much more. Have a bless day my friend. Thanks brother, let me know if there's anything I can do to help you. Nice to meet you, and thanks for posting a comment on my thread. Would love to see your site -- wait -- let me google it. -- Nope -- can't find it -- would you send me the URL...? You're a website designer? Me, too...! My first career is/was design and communications, marketing, that kind of thing -- then I became a paralegal. Go figure. Anyway, all the best here, and I look forward to keeping in touch! Here are a couple of sites I do in the Virginia Beach area. Looking forward to it...! Thanks...! Thanks! Last year we decided to go with a one page format for the Strawberry Festival to cut down on contact form requests leading up to the event. Rather than taking time to actually read the site and find the info that was already there, people would just click the contact link to ask their question. Going with that format cut down on unnecessary requests by more than 90%. Thank you Bob for the follow and many blessings to you here at WA. As a Premium Member you are probably aware of the AWESOME and FREE WA Keyword Tool we have unlimited access to. Hi Robert, thanks for this link. I'm at the point of content creation for my first sites here at WA, so this will be very useful. Have a great day. PS. I hope you have an absolutely brilliant weekend! :) Exciting times lie ahead! Hello Bob,♫Welcome! Nice to meet you ツ I wish you a lot of learning pleasure and fun on WA. Thank you for adding me to your network. Hello Bob. Thank you for the follow. I am sure you will do great here at WA. Sounds like you have some great experience. I got my insurance license last year and worked in the call center. Earlier this year, I started working in the field. So different than working in the call center. I wish you lots of success here at WA. Hi Bob, Congratulations on going Premium. Not only have you opened your business to greater training and encouragement, you now are able to get feedback from the "experts"! I'm sure you'll have many questions...trust the process and do the lessons one by one and you will succeed! If you ever get stuck, discouraged or want to give up just know there is an entire community rooting for your success who are ready to help! Much success! 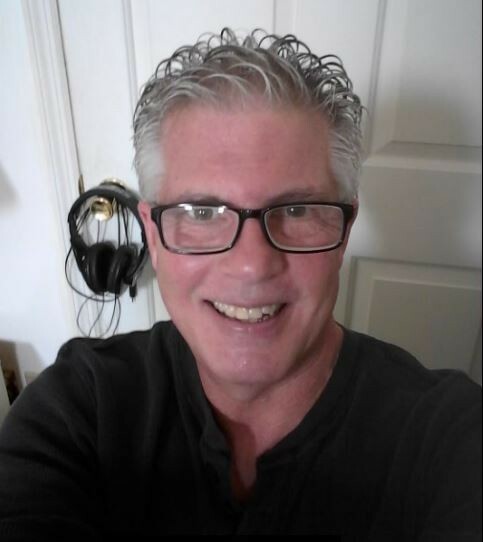 Hi, just thought I would check in and see how things are going with you! I know the first few days of training can be overwhelming. Keep in mind that there's no pressure to be an instant success story. Your # 1 goal should be to go through the Starter Lesson and complete each task, one by one. Please do let me know if you ever need a hand with anything or are feeling stuck, I'm there to help. Wish you enjoy the training! Enjoying it so far. Need to complete something else this evening, so tomorrow morning I'll pick back up at the Membership Level video on Level 1 and to through all the remaining that is available to me. I want to move forward quickly and at this point I can't see why NOT to go to Premium level. Will be in touch Thursday. Thanks again! You are welcome to Wealthy Affiliate. Hope that you find what you are looking for. Awesome! You already have a great experience in the business. You can even make more from WA. I would like you to know that if you need a hand with anything, let me or the community know. Hi there and welcome to Wealthy Affiliate! I am Maun from ( http://onlinemoneyfordads.com). I am glad you've signed up and are ready to get started building your online business. ( 1 ) If you have any question, ANYTHING just ask. ( 2 ) You can access me for 1- on - 1 support by leaving a message on my profile &#40;https://my.wealthyaffiliate.com/maun5130&#41; or responding to this message. Lots of help here and a lot of people that care about your personal success. As a new member here, you should check out the Online Entrepreneur Certification getting started course ( level 1 ). Here is a Link... Online Entrepreneur Certification - Getting Started Level 1 This is a task based course that will get you taking action on daily tasks that will lead to you to building your online business. If you ever have any question or need a hand with anything, do let me know. ( 1 ) Your first month of membership is only $19. That's a 59% discount from the regular price. ( 3 ) You are going to get personal and private access to me. If you ever have a question or need help with anything, I will be there! Before you go, can you please respond this message so I know you make it inside the community. I'd like to connect with you so I can watch out your question this week. Thanks Maun, going to complete the 1st level training/certification shortly and keep moving from there. Thank you! Just keep on rolling with the training cause you can go back and redo anything if it necessary. Hope you enjoy the training. Thanks Maun. I jave lots of wurstions for you. Have Fun - That's an Order!